Netanyahu agrees for the spot on Likud list which is reserved for a candidate of his choice to be moved from 21st spot to the 28th spot. Prime Minister Binyamin Netanyahu informed the Likud court on Monday evening that he is ready for the spot on the party’s Knesset list which is reserved for a candidate of his choice to be moved from 21st spot to the 28th spot. Netanyahu’s office said that he had decided to give up the 21st spot "out of respect for David Bitan and Miki Zohar." The move came after MK David Bitan and other Likud MKs petitioned the Likud court against the three spots that Likud members voted in favor of reserving for candidates of Netanyahu’s choice. "Last time with Yisrael Beytenu they gave him a Carte blanche and we ended up losing. Let him unify parties, what does he want from us?" continued Bitan. "All the time the argument is that this is necessary because we could be losing power, and in the end we are not losing anything. On the contrary, unification on the right brings down the number of seats," he argued. 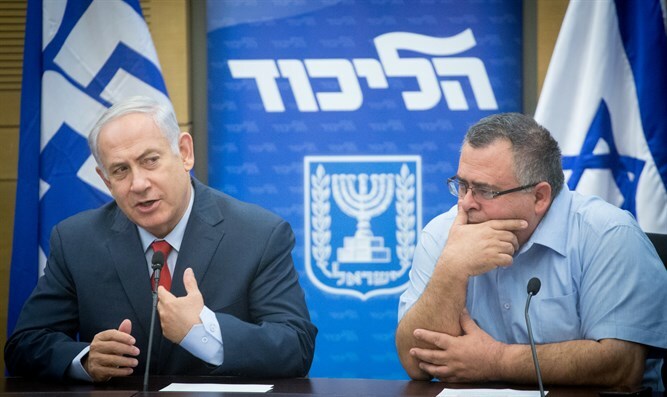 Bitan’s concern over the reserved spots for candidates of Netanyahu’s choice is over the fact that he and other Likud MKs are fighting for their place in the next Knesset. Reserving certain spots on the list would push these MKs down the list and will not guarantee that they will be in the next Knesset. Similarly, MK Sharren Haskel asked the court to cancel the promise of representation for a new woman on the national list, arguing that new women can enter the Knesset through the spots that are reserved for districts.